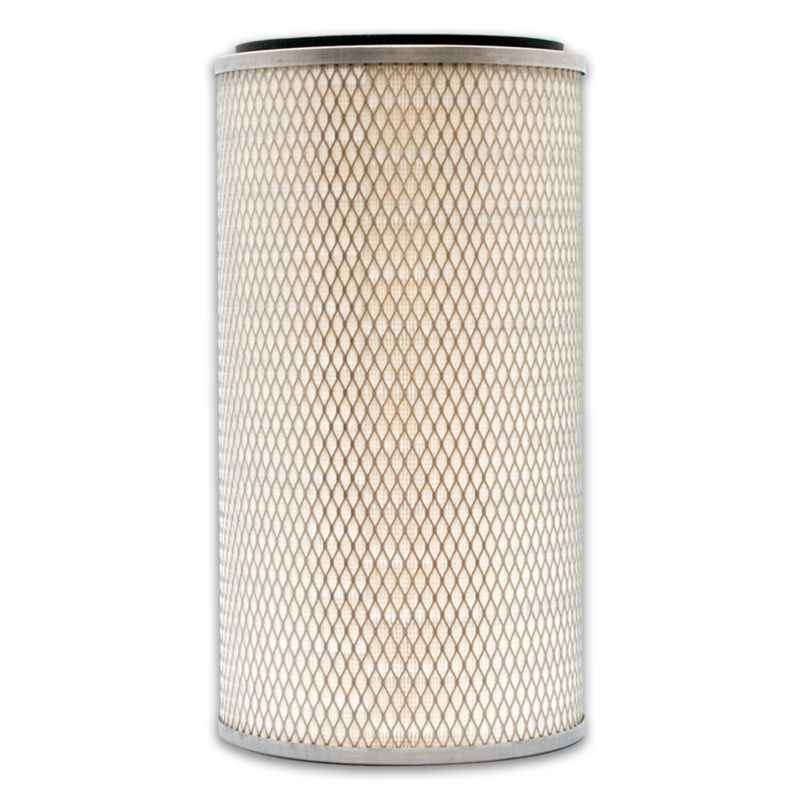 Dust Collector filters are a cylindrical style cartridge filter, designed to improve working conditions and reduce your impact on the environment by trapping wood dust, metal, powders, and other particles. Standard construction consists of expanded metal inner and outer cores that surround a flame retardant cellulose filter media. The top metal end cap is closed with a bolt hole, while the bottom end cap is open with a gasket. Pleated medias increase the filter area. This provides low pressure drop and high particle-holding capacity. Sidco’s dust collector filters are effective in removing up to 98% of dust particles at 0.3µ – 750µ, and are a high quality, cost efficient alternative to OEM replacement filters. It is important to frequently replace dust collector filters to reduce dust particles from the workplace – creating a healthy and safe environment! Built to meet your specifications for dust removal. Designed for more efficient performance than OEM dust collectors. Sidco Dust Collector filters are a cost efficient alternative to OEM replacements. Cores & Support – Paper medias are self-supporting, surrounded by inner and outer cores, and are made from flattened expanded metal. Stainless steel options are available. Unique Features – Flame retardant, high-temperature, and hydrophobic options are available. Dust collector filters improve working conditions and reduce environmental impact by removing airborne particles. They operate well in environments compromised with an abundance of wood, metal, cement, powders, or other dust particles. Dust collector filters are often found in dust collection systems in wood shops, paint shops, powder coating facilities, and laser cutting applications.